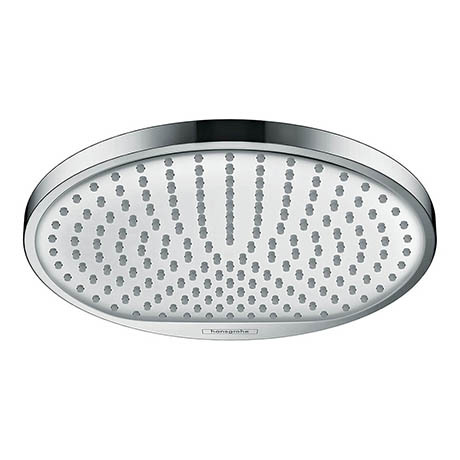 The Crometta S Low Pressure 240 shower head can be either installed on the wall with a shower arm, or fitted overhead on the ceiling. This Low Pressure model can be set to a water pressure of just 0.2 bar or above. It's Rain spray is perfect for rinsing shampoo out of your hair while the QuickClean rub clean nubs loosens any limescale deposits making sure your hand shower looks beautiful, and stays working for longer.